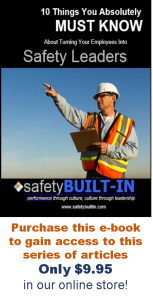 Toward the end of 2018 I posted an article titled “A Survival Guide for Keeping Your Safety Culture Alive” fully intending to post a series of follow-up articles. Unfortunately I had to place that effort on a shelf at the time in favor of competing end-of-year business activities. Now that we’re in the new year I’d like to pick up where I left off with that series. If you haven’t yet read that original article I encourage you to click the link above before proceeding with this one. The very first thing I cover in any safety-culture workshop, presentation, keynote address, or safety-culture discussion is the overarching importance of the way we think about safety. What do we really believe about it? Is it just a compliance regulation that we follow and enforce, or is it a value that we live and lead? The answer may seem obvious. We do all the right things to promote safety on the job. We reinforce safety as our highest priority. We engage employees in discussions about their personal safety. We always wear the required PPE while out on the floor or worksite. We are the model of safe behaviors on the job. But do these same behaviors prevail when we are performing potentially dangerous activities at home? What are we wearing when we mow the grass? Eye protection? Hearing protection? Protective clothing? If not, why not? Do the laws of physics about decibel levels and flying projectiles somehow cease to exist in the backyard? Do we feel free to reach a little higher and lean a little more while working on that ladder because there’s no “requirement” to do otherwise? If we are honest with ourselves, most of us would have to admit that we take shortcuts at home that we would not tolerate on the job. If that’s the case then we have to reassess how we think about safety and what we believe about it. A value is not something we do only part time or only in certain places. We carry it with us. So if safety is truly a core value (a belief) for us then we’re not going to do things differently at home. Unless (and until) we have internalized safety as a core value for ourselves, we cannot hope to lead and internalize safety as a core value for anyone else. One of the best ways to accomplish both goals is to tie personal safety (whether yours or someone else’s) to an existing core value. For most of us, that’s family – spouses, kids, grandkids, parents, siblings, friends. In short, our relationships with the people we love. We will do things for those relationships that we won’t even do for ourselves. If you have kids then you already instinctively know this. How many of us started taking fewer risks in life after our kids were born? We didn’t make that change for ourselves, otherwise we would done it a long time ago. How many of us drive a little more carefully when those kids are in the car? We’re not doing that for ourselves, otherwise we’d do it all the time. We will do things for those relationships that we won’t even do for ourselves because they are part of our core-value set. 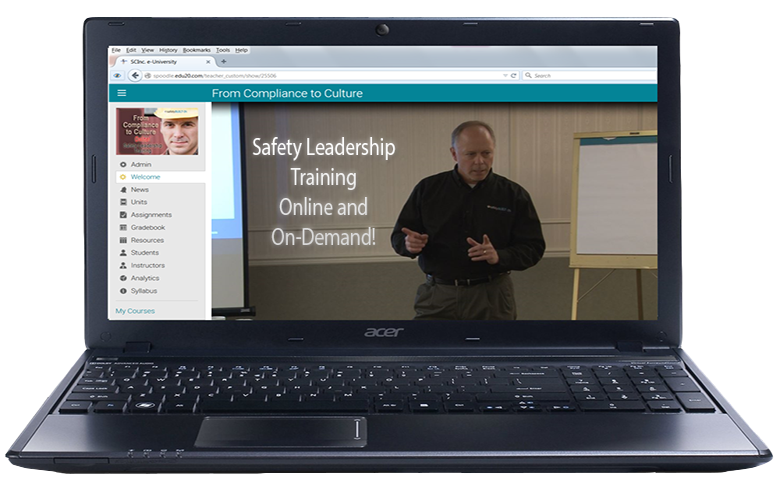 The people you lead in a safety culture are no different. They too have a core-value set that includes their relationships with the people they love. The reason we take shortcuts is because our minds are focused on getting the job done. But if our minds are instead focused on the people in our core-value set we tend to behave differently. Safety is not about policy, and it’s not even about me; it’s about the people in my core-value set. How are they impacted when I make bad choices around safety? What happens to them if I slip and fall from a height that results in a significant injury or fatality? Who do I leave behind when I make those bad decisions? How are they negatively impacted by my unsafe behaviors? Who takes care of them when I’m no longer around or can no longer afford to do it because of the decisions I’ve made? Once leadership has embraced and internalized safety as a core value, they should encourage their frontline employees to do the same. Moreover, they should provide ample opportunities for the frontline to demonstrate their commitment to the safety culture by taking on the mantle of safety leadership and safety communication. For instance, anyone leading safety communication (such as a safety meeting, a startup meeting, a pre-shift meeting, a toolbox meeting, etc.) should set the tone of that meeting by using a story or talking point that ties personal safety to core values. Let the frontline lead this communication. 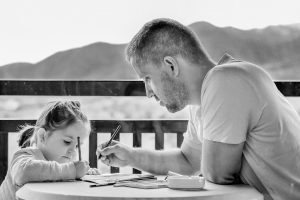 The goal is to build their leadership capability, and opportunities to communicate safety in a formal way is an ideal avenue for accomplishing that. Another idea is for each location (plant, facility, work site) to create a dedicated area where employees can post pictures of their families (breakrooms, lobbies, entry ways, etc.). Place a title in big letters at the top that says something like “My Reason for Working Safely Today.” Leaders can set the tone by posting theirs first, and then they should encourage their direct reports to do the same. Many of your employees will require little or no prompting to do this, and the rest (with a few exceptions) will soon follow suit (let peer pressure work its magic here!). Facility managers can reinforce the importance of this activity as a reminder of why we work safely every day. This can then be used as a basis for conversations about safety as a core value. Even if an employee doesn’t know another employee well, they at least now know (based on a picture) that that employee has a reason for working safely that transcends mere policy. This in turn can be used as a foundation for coaching unsafe behaviors (a topic we’ll address later in this series). These are just a few ideas to reinforce safety as a core value. But this alone will not be sufficient to keep a safety culture alive and thriving. We also must turn our frontline employees into true safety leaders in their own right. That will be the subject of my next article in this series. That’s it for this edition of Recordable INSIGHTS. Until next time.